The Etobicoke Outdoor Education Centre is a year round overnight facility that is owned and operated by the Toronto District School Board. The centre is located just north of Bolton, Ontario, on the Oak Ridges Moraine, and is nestled within the Albion Hills Conservation Area. We offer Outdoor Education experiences to the students and staff of the Toronto District School Board. It is our belief that through direct contact with the natural environment students will begin to appreciate their role as environmentally responsible citizens who understand their fundamental connections to each other and to the world around them. The Toronto Outdoor Education Schools have partnered with the SWSH Department to produce a series of lessons that focus on getting students into the natural environment. 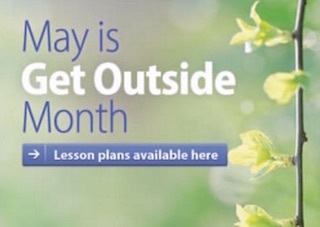 Teachers, continue the momentum by getting your class learning outside. Remember...every month should be get outside month! 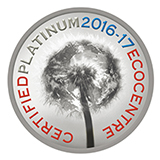 Visit Etobicoke OEC's profile on Pinterest. We have done it again. Congratulations to the staff and students!